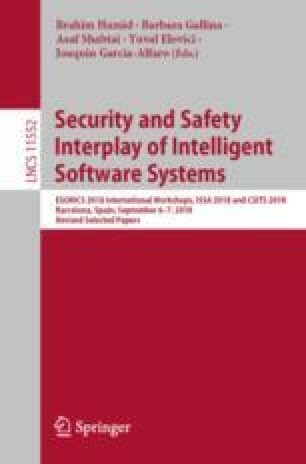 Given rapid progress in integrating operational and industrial technologies and recent increase in the level of automation in safety-related systems, cooperative cyber-physical systems are emerging in a self-contained area requiring new approaches for addressing their critical properties such as safety and security. The notion of tactics is used to describe a relation between a system input and its corresponding response. Cooperative functionalities often rely on wireless communication and incoherent behavior of different wireless channels makes it challenging to achieve harmonization in deployment of systems’ tactics. In this work we focus on safety tactics for cooperative cyber-physical systems as a response to inputs related to both safety and security, i.e., we are interested in security informed safety, and formulate a challenge of synchronization of safety tactics between the cooperating systems. To motivate the requirement on such synchronization we consider a car platoon, i.e., a set of cooperative vehicles, as an example and illustrate possible hazards arising from unsynchronized tactics deployment. The work is supported by the Swedish Foundation for Strategic Research (SSF) via the Future factories in the Cloud (FiC) and the Secure and Dependable Platforms for Autonomy (Serendipity) projects.